I want to clear my review slate so that I can keep up with my RIP books during the next two months so here are some quick mentions of books that are sitting here. 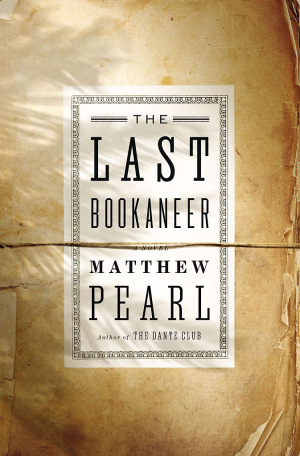 A totally fun read from Matthew Pearl, The Last Bookaneer is yet another of his well-researched forays into the fictional lives of authors. This time we visit Robert Louis Stevenson in Samoa as he is visited by bookaneers, people who make a living by stealing notes and works from prominent authors and using differences in copyright laws between different countries to advantage. Pearl is one of my favorite storytellers and this is a great tale. 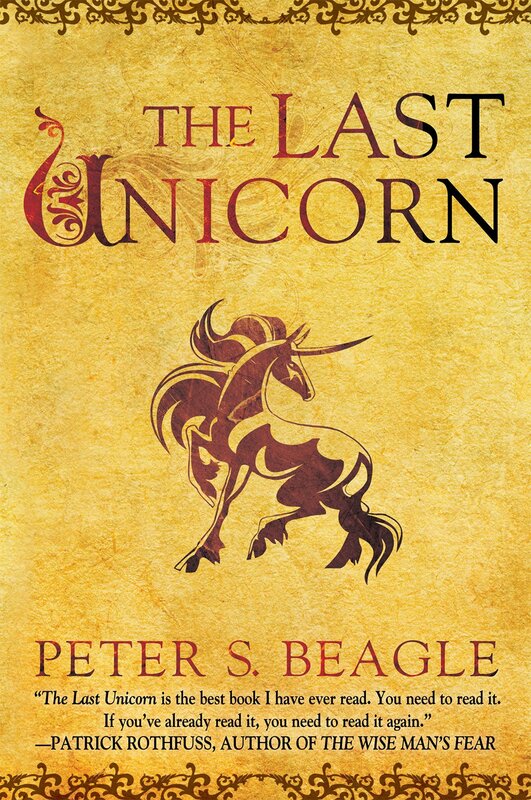 One of my favorite movies as a kid, The Last Unicorn by Peter S. Beagle is now one of my favorite books as well. It's beautiful and lyrical and sad and powerful. Schmendrick has a fantastic backstory and everything is much more symbolic and interesting. I did rewatch the film for the first time in about 20 years too and it brought back so many memories. 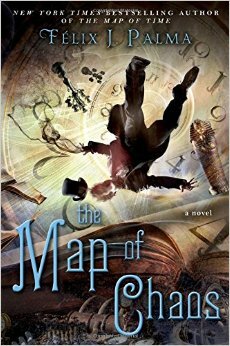 The Map of Chaos is the final book in Félix J. Palma's brilliant trilogy. Each book focuses on one or more of the works of H.G. Wells and in this one it's The Invisible Man. This story wraps up many of the loose ends in the previous books but also stands on its own. In fact, Palma says that the three books were written to be read in any order. I could see how reading this one first and then moving back through the other two (The Map of Time and The Map of the Sky) might be fun. I think I will be due for rereads of those two soon! One warning though -- if you don't fully pay attention during these books, you will most definitely get lost. They are complex, in the vein of the overarching stories of LOST or The X-Files or Fringe. 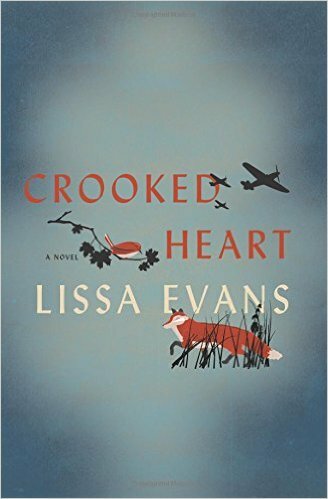 A new release, Crooked Heart by Lissa Evans is a WWII London story unlike any other. Noel is already an orphan when he becomes orphaned again with the loss of his godmother. He goes to live with some not-really-relatives and then is eventually evacuated to the home of Vee Sedge, an opportunistic woman who is trying to make a better life for her son and her mother without quite knowing how to go about it. Neither character is perfect but both come together perfectly by the end of the story, finding exactly what they didn't know they were looking for. I truly enjoyed this one as well! 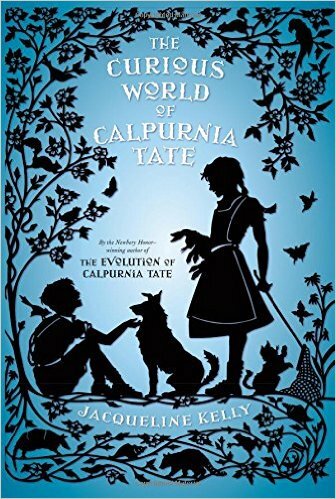 Sequel to The Evolution of Calpurnia Tate, Jacqueline Kelly's The Curious World of Calpurnia Tate does for Charles Darwin's The Voyage of the Beagle what the first book does for On the Origin of Species -- which is, to make them both accessible and applicable to children. Callie Tate is still a young scientist but now, instead of searching around with her grandfather for rare plants, she learns about animals thanks to her brother Travis' obsession with strays. She even helps the new local veterinarian even though nobody believes a female to be capable of that sort of work. Calpurnia is one of my favorite characters and I truly hope there are more books in this series. 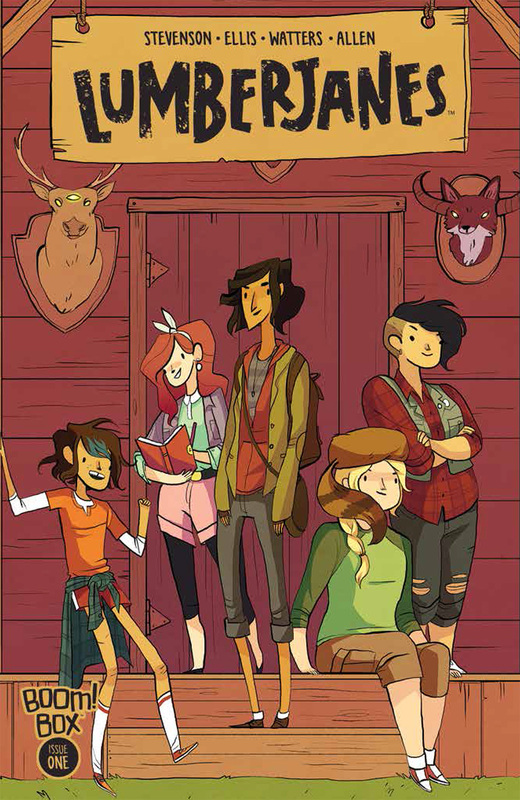 And, of course, since I read Nimona and loved it, I had to move on to Lumberjanes. It was awesome! I'm going to read this first volume again before I return it to the library. I love how different each girl is and how they use their individual talents. Also, the supernatural stuff is so dang cool. I'm going to be a Lumberjane when I grow up! Moone Boy: The Blunder Years by Chris O'Dowd and Nick V. Murphy is based off of the television show, Moone Boy. While I loved the show, I was more ambivalent about the book, specifically it's treatment of Martin Moone's sisters. He tries to use them as collateral to get what me wants and uses terms like "fun bags" to describe parts of their bodies. While this was the way kids talked in the 1980s when this book was set, I'm not sure that we need to tell that to modern kids. And it's one thing to do it in a show that's geared toward adults but less appropriate in a children's book. Mothman's Curse by Christine Hayes was a fun and sometimes terrifying middle grade story, based on the Mothman that you've probably heard about in more adult stories. It was certainly scarier than most middle grade books but not in a bad way. I would definitely put it in the hands of a kid who complains that other kids' horror books are too tame. I know that everybody loved The Storied Life of A.J. Fikry by Gabrielle Zevin but it didn't completely wow me. I liked the message but was a bit underwhelmed by the story. Find the Good: Unexpected Life Lessons From a Small-Town Obituary Writer by Heather Lende was a quick little read that made me think about life a bit and feel good while I was reading it but ultimately it didn't change my life. It seems like the kind of book you would give to a non-reader to show them that books can be short but still meaningful. I really wanted to love Michel Faber's The Crimson Petal and the White but, alas, I didn't. It thought it was way too long because ultimately very little happens. Also, there was just so much that was gratuitous in it that I felt like it was just there for shock value rather than for advancing the story. I would much rather read Fingersmith or Tipping the Velvet again. Finally, I'm reading To Kill a Mockingbird again right now and am blown away by how good it is. This book is completely wasted on high school students. I may have to go back and revisit more required reading books soon! Every time I reread The Last Unicorn I expect it to not be as good as I remember it, but so far it's never failed to be better. Great book. I need to get Lumberjanes on the TBR stack. Loved Nimona during its web run. I hope you enjoy Lumberjanes! Argh, I am mad at myself about this, but I did not love Lumberjanes the way I expected to. I think I wanted it to be a bit more of something than what it was. And Nimona was such a marvelous, unexpected surprise joy of a book that I suppose my expectations for Lumberjanes were impossibly high. I'll try again another time. So, no, it wasn't as wonderful as Nimona BUT it was a lot like the kinds of cartoons that Z and I have been watching together -- Adventure Time, Over the Garden Wall, Gravity Galls -- so it was right up my alley (and probably right up his -- I should put it in his hands and see what happens!). Nimona is amazing though. I haven't read The Last Unicorn since I was in my tween unicorn phase, many, many (many) moons ago. 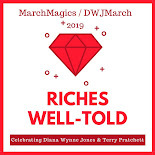 I think I'm a little afraid to read it again, not wanting to ruin my memories of it, but since you and katenread say it's wonderful I might venture to pick it up again. Nimona keeps popping up on my radar; will have to look that one up. My library has a pretty good graphic novel section, so I bet I'll find it. Have not heard of Matthew Pearl, but fictional lives of authors sounds fun! I bounced off of Map of Time pretty hard, but this series sure sounds like I would enjoy it. Might have to try again when I have more patience. As for Map of Time etc., I definitely think they're not for everyone. They can be convoluted, both in plot and language. I think I'll enjoy the rereads because I won't have to work as hard at keeping up with what is going on!